Find the key icon at the very top placed on the right side and click on it. Now a dropdown menu will open and you can find the text “Register” there. You can also use “Social Logins” to speed up the whole registration process. Optional you can click ≫here≪ to get redirected to the registration page. Once you got redirected to the registration page please fill out all the required fields. Please double check your E-mail address if everything is spelled correct there. After you are done with filling out the form click on Register at the bottom. Head to the menu point “CLUB WWN” located in the main menu. In case you aren’t logged into WWNLive you will be asked to login first. Please use your WWNLive login credentials here. You will be redirected to a registration form from Lightcast EasyPay – the payment provider for Club WNN. 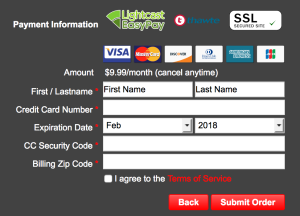 Please fill out the Lightcast EasyPay form and double-check that all information entered is correct, especially the email address. If the email address is wrong, you won’t receive your Lightcast EasyPay account credentials, which you will need to manage your subscription, update payment preferences, print your invoices etc. Once filled out, click on “Proceed”. Enter your Payment Information and click on “Submit Order”. 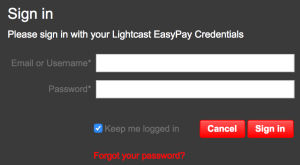 You should have received an email from Lightcast EasyPay with your EasyPay login credentials. Please also check your junk/spam folder. You will need these login credentials to login to your Club WWN subscription. This step will require an active CLUB WWN subscription and your WWNLive login credentials. After you are logged in to your WWNLIVE account, click on “Sign in”. You will be redirected to the Lightcast EasyPay login form. 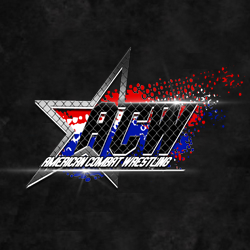 Click on “Sign in” and you should have access to the Club WWN content.